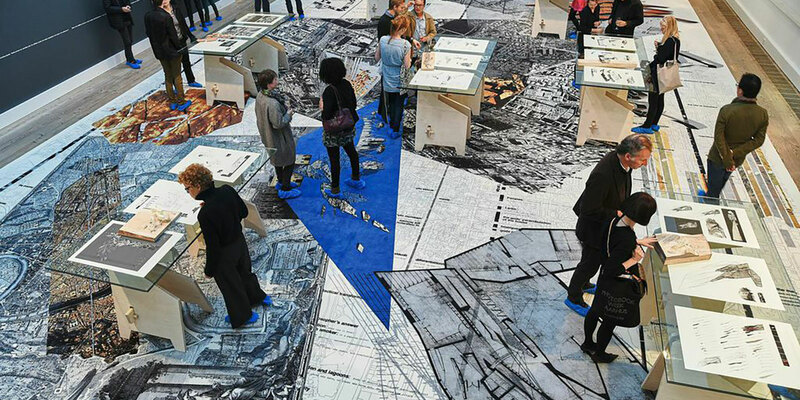 An enormous carpet, manufactured by ege, covered with photographic reproductions of cities and landscapes covers the entire floor of the Exhibition Building. 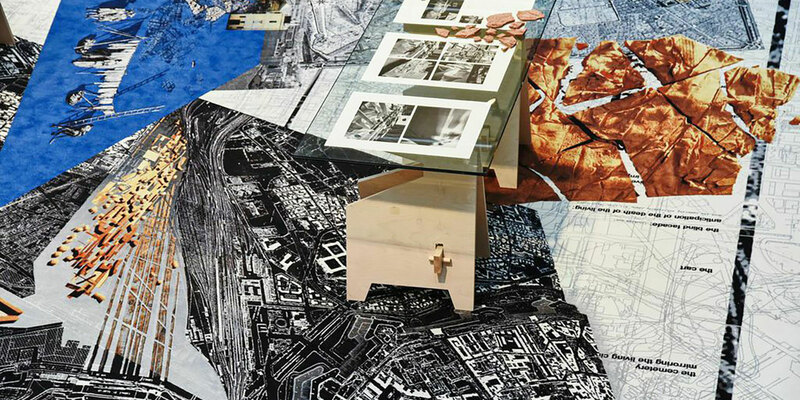 The exhibition is the result of Scottish architects Mark Dorrian and Adrian Hawker’s (metis) explorations of topography, architecture and urbanism. The exhibition invites the audience to immerse themselves in the studios world and work, which will be displayed on tables designed by metis. 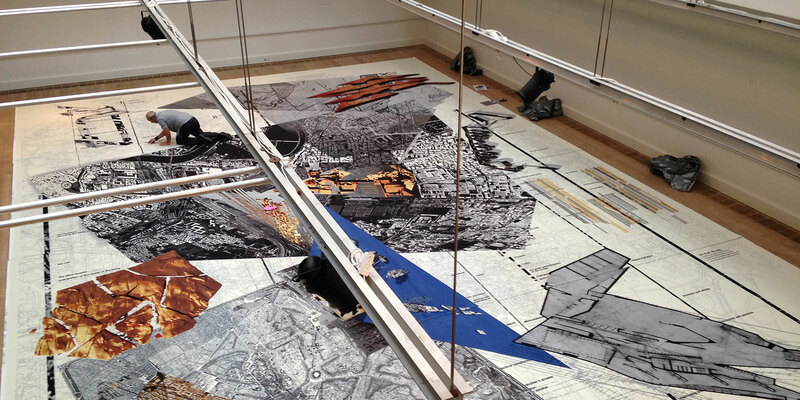 metis is an atelier for art, architecture and urbanism founded by Mark Dorrian and Adrian Hawker at the University of Edinburgh in 1997, with the aim of connecting architectural teaching, research and practice. 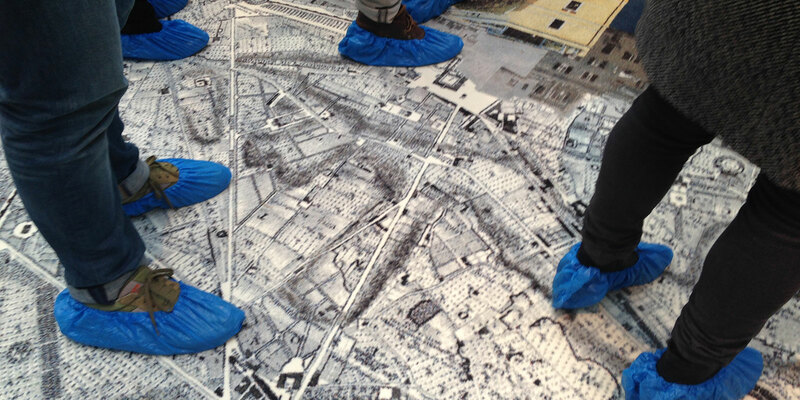 Their work focuses on the city and the complex ways in which it is imagined, ion the carpet was a way to extend the perception of their work. ege carpets who sponsored the carpet holds the carpet industry’s most modern technology and can supply carpets with any imaginable design. 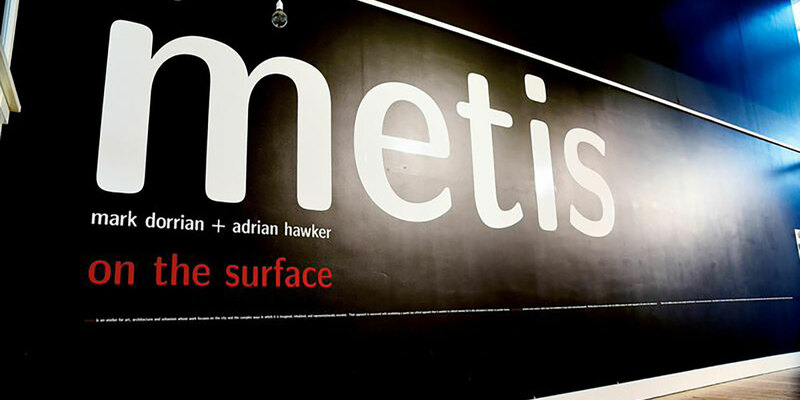 The quality used for the exhibition with metis is a 100% synthetic product made of recycled material. 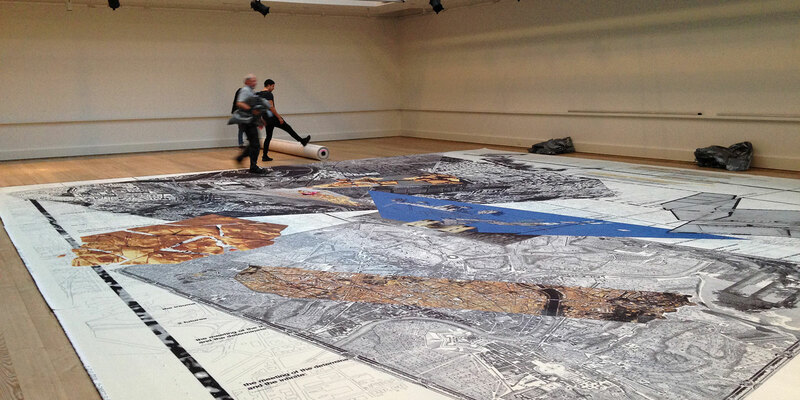 Concept and Exhibition Design: Karen Kjaergaard in collaboration with METIS.